Change is one of Calvin G. Grayson’s favorite words and he has proven that time and again during his career in the transportation industry. Finding new and better ways of moving people and goods has been his life’s mission. A native of Woodford County, Kentucky, Mr. Grayson attended the University of Kentucky from 1941 to 1943, when he withdrew to enter the armed forces. Upon completion of basic training, he was selected for specialized engineering training at the University of Chicago. After the Battle of the Bulge in Europe, the training program was discontinued and he was assigned to the 96th Infantry Division on the west coast. He was involved in two major beachhead invasions, at Leyte in the Philippines and Okinawa. A Purple Heart recipient, he was wounded at Okinawa and hospitalized for 16 months. Mr. Grayson returned to UK in 1946 and earned a Bachelor of Science in Civil Engineering in January 1949. He began his career with the former Kentucky Department of Highways and remained with the department and its successor, the Department of Transportation, for 30 years. In 1973, in his role as statewide planning engineer he established the Division of Environmental Analysis to identify environmental problems associated with transportation programs. The following year he organized the department’s Office of Transportation Planning, serving as its first chief. 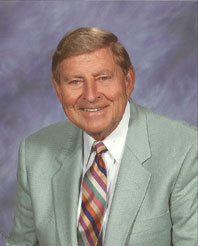 In 1977, he was named commissioner of highways and secretary of the Kentucky Department of Transportation. Mr. Grayson was the first career professional engineer to ever hold these positions. While secretary, he established the Kentucky Transportation Center at UK and was its director from 1983 to 2004, the capstone of his legacy in the transportation world. This long and illustrious career has been marked by Mr. Grayson’s philosophy of looking at business processes and practices to ensure that continuous quality improvement is in place, knowing that change may be in order. Mr. Grayson is recognized as the change agent that moved the highway department from a single modal agency to a multimodal transportation agency, a significant shift in thinking and organization. Mr. Grayson worked tirelessly for over 50 years to secure the 2006 passage of the primary seat belt law for the Commonwealth of Kentucky. While the majority of state government leaders remained silent on this controversial issue, Mr. Grayson spoke passionately about the need for such a law. A primary seat belt law was a change he believed was right for Kentuckians and he never waivered from being the public voice for it. He presently chairs the statewide safety committee for the Kentuckians for Better Transportation organization. His leadership in both education and technology transfer is widely recognized by professional organizations such as the Council of University Transportation Centers, as well as in the transportation community at the national level. During his government career, he was recognized as one of the Top Ten Public Works Leaders by the American Public Works Association (APWA). He received the S.S. Steinberg Award from the American Road and Transportation Builders Association for his outstanding contribution to transportation education. In October 1994, Mr. Grayson was awarded the APWA Donald C. Stone Award for outstanding and meritorious achievement of persons assisting in continuing graduate professional education for public works professionals. Mr. Grayson served as president of the Kentucky Society of Professional Engineers (KSPE), the Kentucky section of the American Society of Civil Engineers and the Council of University Transportation Centers. He has been active with Chi Epsilon, national civil engineering honor society; Southeastern Consortium of University Transportation Centers; and served of the boards of directors of the American Road and Transportation Builders Association and the American Public Works Association. He is the recipient of many awards, including the Outstanding Engineer in Government Award from KSPE; Outstanding State Vice President of the Junior Chamber of Commerce; Eminent Engineer by Tau Beta Pi; and Career Achievement Award by UK’s Department of Civil Engineering. Mr. Grayson has been inducted into the Transportation Hall of Fame, the Lafayette High School Hall of Fame and the University of Kentucky Hall of Distinguished Alumni. He has been recognized by the United States Department of Transportation as one of the Top 100 Public Officials in the 20th Century. Mr. Grayson was married to the late Ginny Davidson Grayson for 61 years. They have two daughters and two grandchildren.